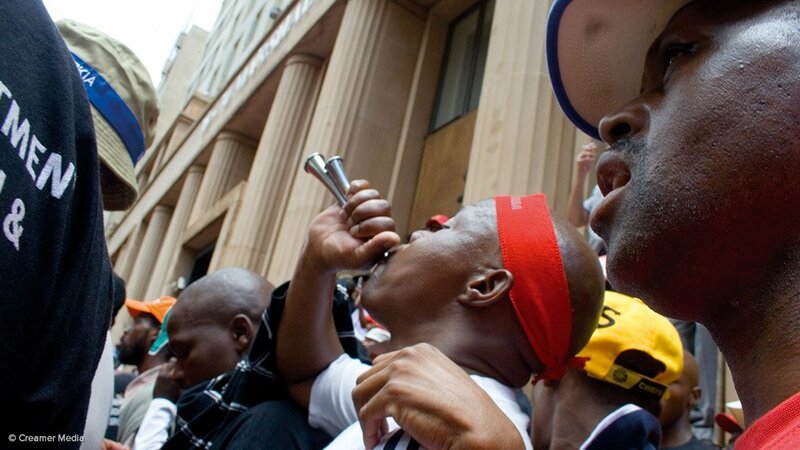 The incidence of social protests has increased 96% since 2010‚ the Institute of Race Relations (IRR) said on Tuesday. The IRR said there appears to be “a greater rate of occurrence” of service delivery protests “in areas with high levels of fruitless and wasteful government expenditure”. Gabriela Mackay‚ an IRR research analyst‚ said: “Municipal IQ data showed that of the 176 major service delivery protests in 2014‚ 21% of these occurred in Gauteng and 18% each in the Eastern Cape and KwaZulu-Natal. While significant‚ Mackay added that it “should be noted that multiple factors play a role in service delivery protests as the Western Cape has the lowest level of fruitless and wasteful expenditure (R1-million)‚ but 14% of major service delivery protests occurred in the province”. Quoting the South African Police Service’s 2013/14 annual report‚ the IRR said there were “11 668 peaceful crowd-related incidents‚ 1 907 unrest-related incidents‚ and 1 691 incidents of public violence”‚ which included “service delivery protests‚ industrial action‚ demarcation issues‚ and conflict between political parties”.